Objective or the learning goal describing what the student will learn through the lesson , Time estimate on how long each lesson will take to study, Ways to support students needing extra help and extra challenges in learning the lesson, A sequence that describes what will happen during each part of the lesson and finally, An assessment, which gauges what the students have learnt at the end of the lesson. 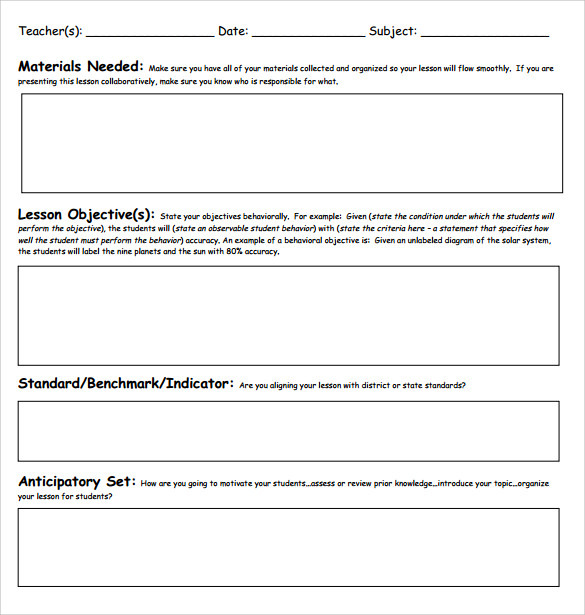 There are a number of websites, which offer short Weekly Lesson Plan Template, which will help the teacher educate her students. 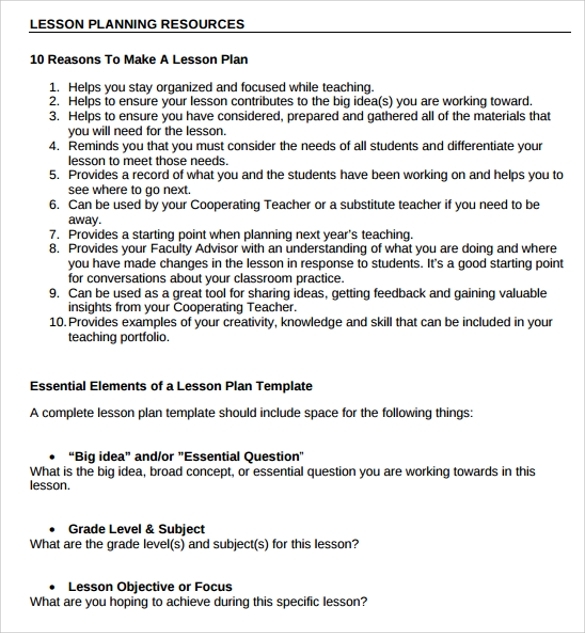 A short lesson plan template helps the teacher plan the lesson she has to teach her students. It will contain all the important points that need to be covered in the lesson. 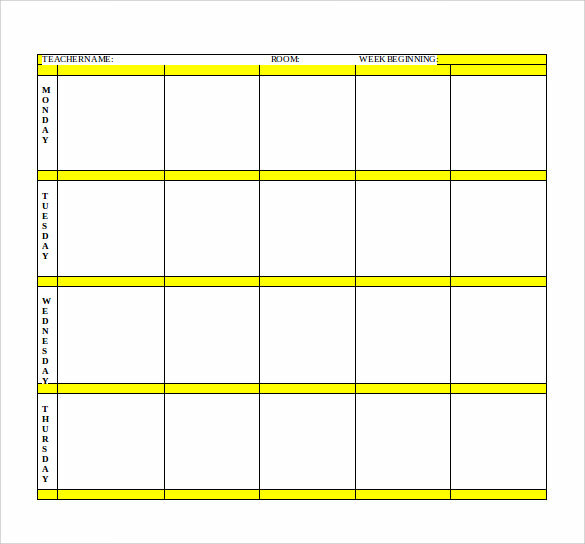 Having such a template assists the teacher in covering everything present in the lesson. 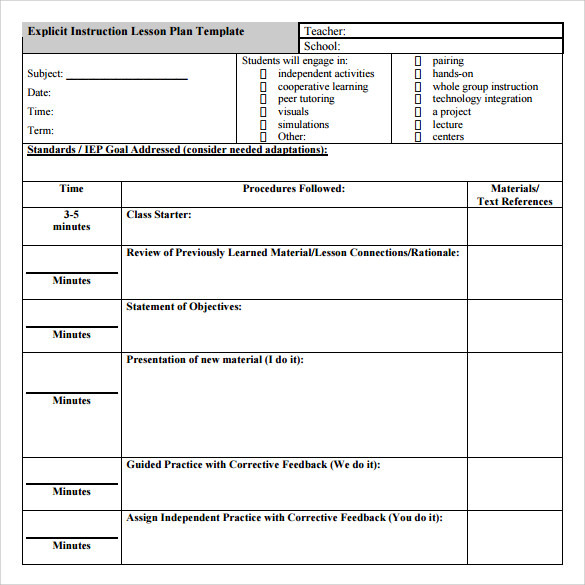 Therefore, a short lesson plan template is a proforma plan to teach the lesson. 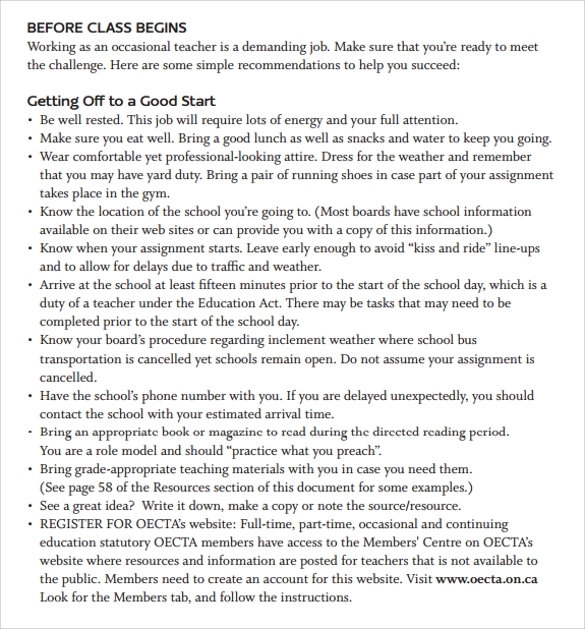 A teacher day plan template covers the plan the teacher needs to follow during the day while she is in school. 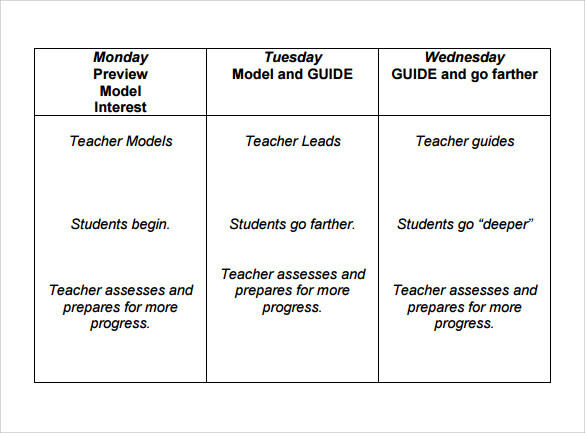 This plan lays down a teaching plan for the teacher. It also helps remind her about the important things she needs to teach her students. 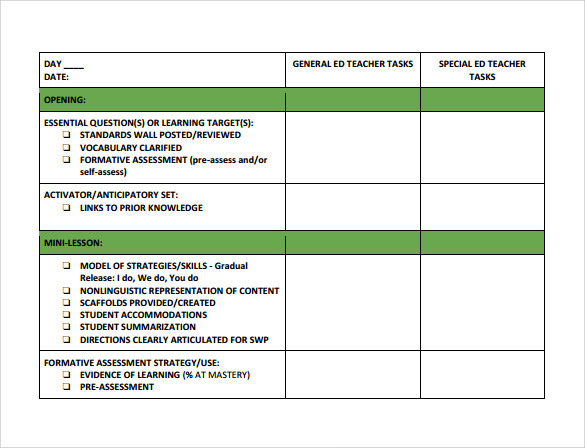 Thus, a teacher day plan template can be likened to a teacher’s daily schedule. 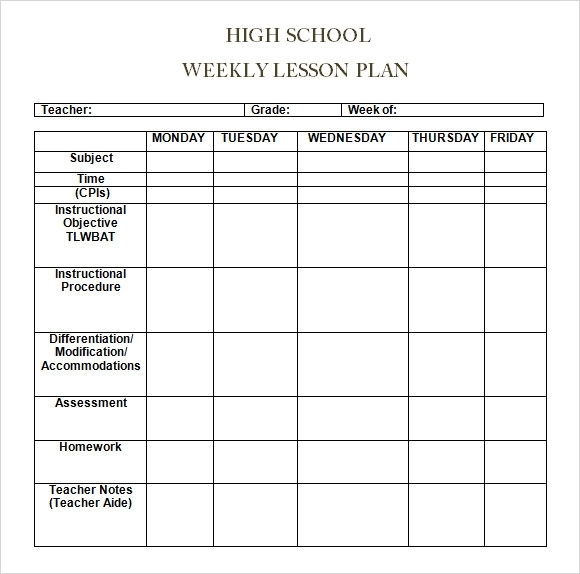 A weekly lesson plan template just like a day plan template gives the teacher an idea about what she has to teach when during the week. In case there are some important points to cover in the lesson, the weekly lesson plan also helps remember her schedule during the week. 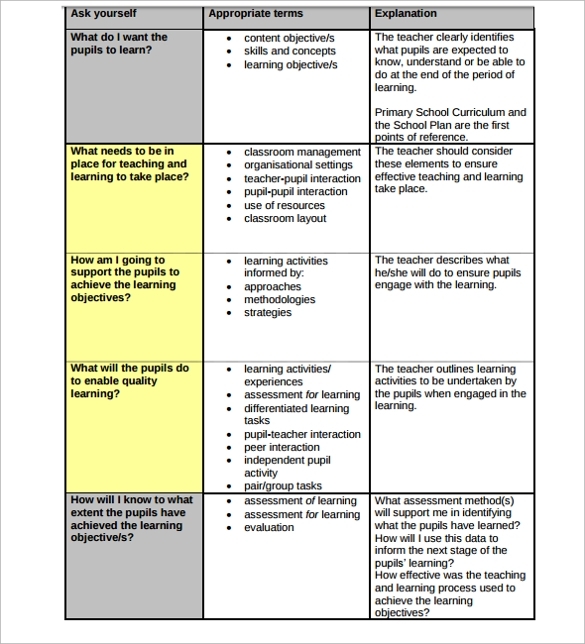 Some advantages of lesson planning are that it inspires the teacher to better her teaching techniques, helps the teacher in evaluating her teaching, develops an uncanny self confidence in the teacher, a plan inspires the teacher to ask proper and probing questions which will adequately test her pupils. Writing lesson plans before taking a lecture is the mark of a good teacher. 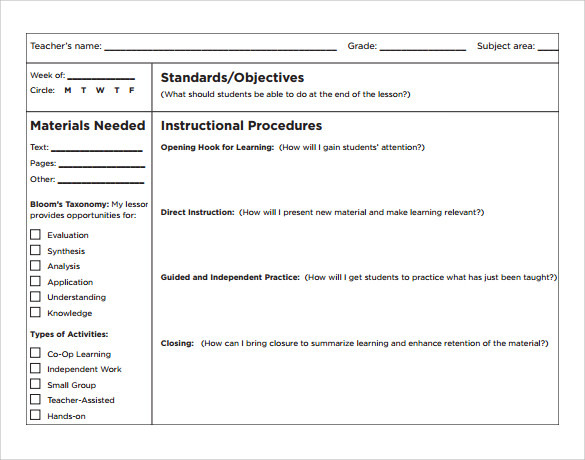 A lesson plan helps the teacher decide the type of content to be included in the lesson. Additionally, it also tells her the method of instruction she needs to follow so that all her students will understand what she is teaching. It helps a teacher do time management during her lecture. The lesson plan will be a guide and a pathway for the teacher to organize her teaching materials and administer them properly. A lesson plan fulfills the purpose of fulfilling the goal of making the students understand what is being taught by the teacher. The main audience for a lesson plan is the teacher herself. Apart from that, the students can also be included as audience. 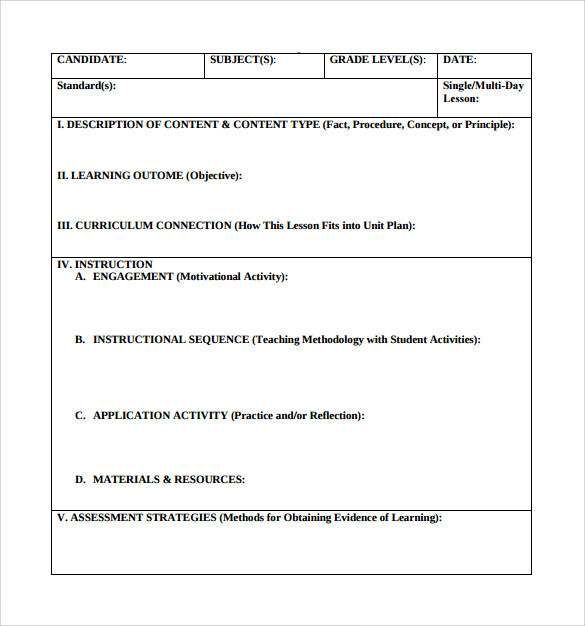 Writing an effective lesson plan is an art and once the lesson plan is written correctly then the goal of making every student understand the lesson will be achieved. 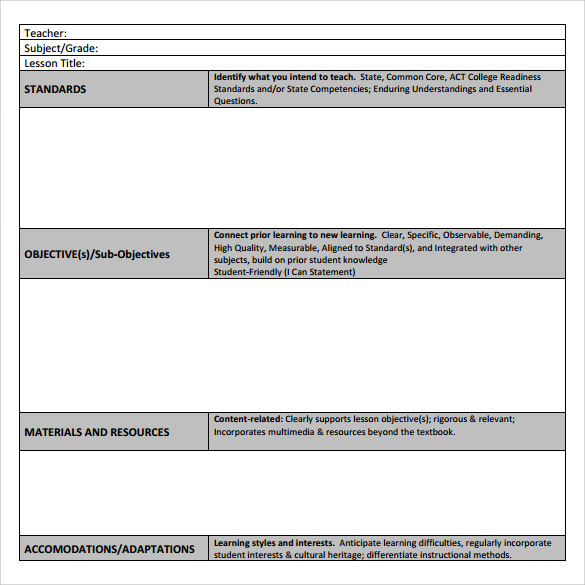 A lesson plan helps the teacher organize her teaching material in such a way that she can impart the right kind of knowledge to her students. 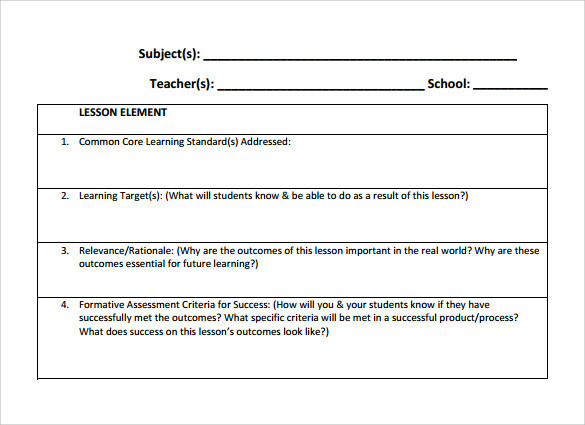 Therefore, a lesson plan is the most important document of a lesson. A lesson plan is as effective as the effectiveness of the teacher writing it. 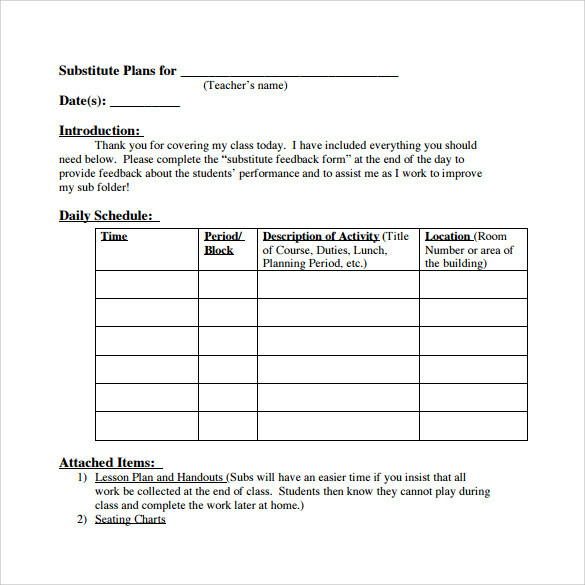 A teacher day plan template gives lessons that are well planned in advanced are more likely to assist the student learning process. They are also more likely to fulfill the goals of teaching the lesson i.e. imparting knowledge to the students. 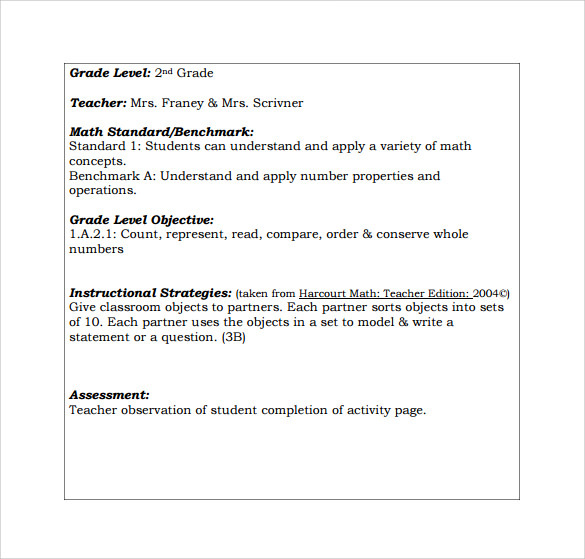 A Unit Lesson Plan Templates also helps the teacher stay on track while she is teaching a lesson. 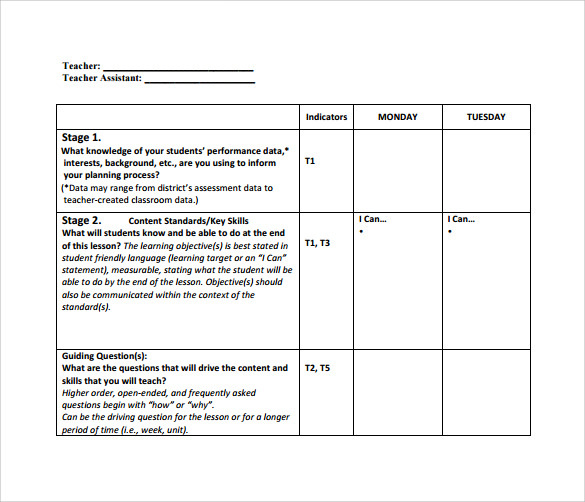 Lesson planning helps the teacher visualize and therefore plan each step of the learning process. This visualization is mainly responsible for the teachers success. A well-made lesson plan will also help some other substitute teacher to impart the same knowledge if you cannot be present during the class for some reason or the other. 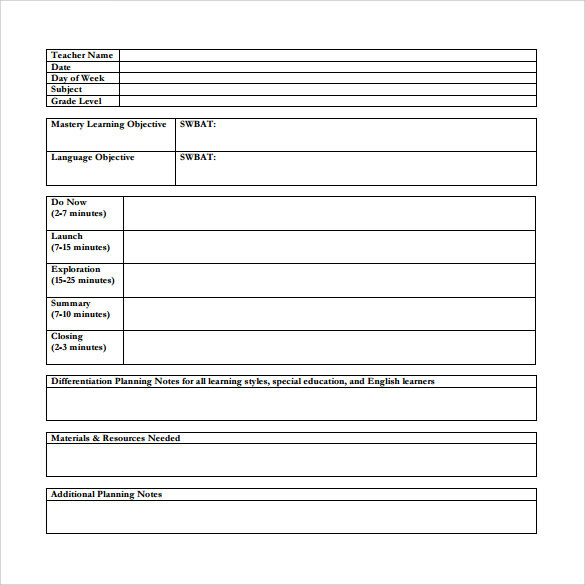 Thus, we have seen the uses, purpose and benefits of a Daily Lesson Plan Template format and also studied some important features of a weekly lesson plan template. 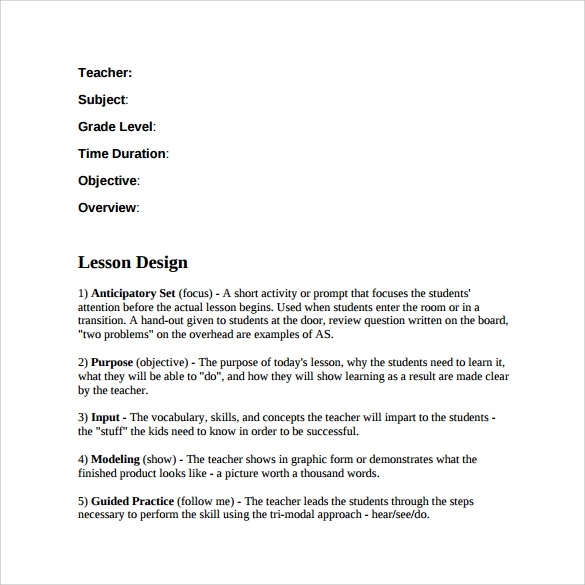 This article does not promise to be an exhaustive document on the subject of lesson plan but it covers most of the preliminary knowledge there is to know about five minute lesson plan online.